HOLIDAY BLOGGER GIVEAWAY AND A MEXICAN COFFEE RECIPE! Contest has ended. Winner is Kimberley Henbury-Newton. The holidays are about GIVING and I have teamed up with casa de la Cargill, The Complete Savorist and The Lazy Mom’s Cooking Blog to offer this amazing giveaway just in time for the big day! We are giving ONE lucky winner a brand new Keurig Kio Mini Plus Brewer and a $60 Amazon.com Gift Card to buy many kinds of delicious coffees, teas or hot cocoa’s!!! I just love the Keurig Kio Mini Plus Brewer! Pick whatever flavor coffee, tea, hot cocoa or iced beverage you like and get a delicious drink in under two minutes! No need to wait for a whole pot to brew!! You have the choice of three cup sizes. including a removable drip tray accommodating for short travel mugs. 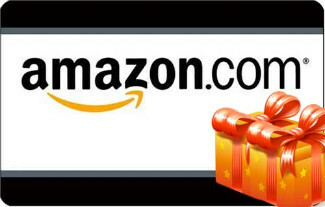 Not only can you win a Keurig Mini Plus Brewer, but you can also win a $60 Amazon.com Gift Card for you to purchase anything you wish!! A delicious Coffee recipe to warm you up on a cool day! With Kahlua, Brandy, Chocolate syrup and cinnamon! A delicious coffee drink with Kahlua and Brandy! It will warm you up on a cold day! 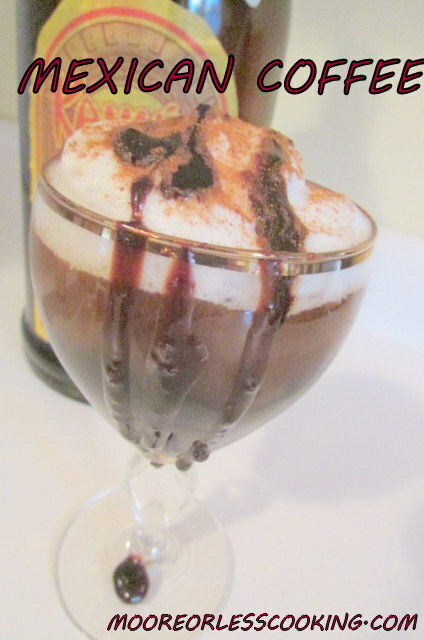 Place Kahlúa, brandy, chocolate syrup and cinnamon in a coffee cup or mug. Top with sweetened whipped cream, drizzle with chocolate syrup and a shake of cinnamon. Contest begins 12:00 am 12/12/14 and ends 12:00 am 12/20/14 EST. Winner has 48 hours to respond. One winner will be selected to receive prize package. Open to US residents 18 years or older. This is NOT a sponsored giveaway. All prizes are supplied by the hosts and all opinions are our own. I like my coffee with creamer. My husband would love to try the Mexican coffee . I do not like coffee but he drinks it every morning! Awesome giveaway! Thank you Debbie! Good Luck! Awwesome! Would love to win! I like mine with Southern Pecan Creamer! I have never had that Jenny! Sounds great! Good Luck! I love coffee.. I have had it many ways, but usually my first cup of the morning is black..
Good way to start! Good Luck! Me too Karen! Good Luck! I love my coffee with caramel creamer and sugar. What an awesome giveaway! I love your Mexican Coffee Recipe! I like my coffee black and piping hot! Normally I don’t drink coffee (tea drinker here – ice/sweet tea) however, spent some time with my brother and his wife and she turned me back onto it the way she made it! CREAMER PLEASE! It was delicious (so I need to win in order to start making it myself only with all those lovely flavored cups)!!! Thanks for offering this! I enjoy a good mug full of coffee with just milk (cream or half and half). Thank you for this opportunity! I like mine hot and black! Need that caffeine in the morning! I love my coffee black. Thank you for giveaway! I like my coffee with a little hazelnut flavor. G’day Great giveaway and am a big fan of coffee! Sometimes all I need is just one cup to get you through. The recipe for Mexican Coffee looks absolutely delicious. Can’t wait to try. Thank you Ramella! Good Luck! My very favorite coffee has a cake donut dunked in it. I love my Keuig coffee machine. It’s a larger one but I’d love a mini for travel. Your coffee sounds yummy Nettie! I take my coffee with cream and sugar. I would love to win this! Thank you Theresa! Good Luck! I love my coffee strong,black and with a hint of smokiness- Sumatra is my fav! I like my coffee very light and not that sweet… If I have it iced I love it very sweet! I tend to be a coffee purist…at times just a splash of flavored cream…. I like my coffee with cream and stevia. I made this with watered down espresso, and it tasted great!